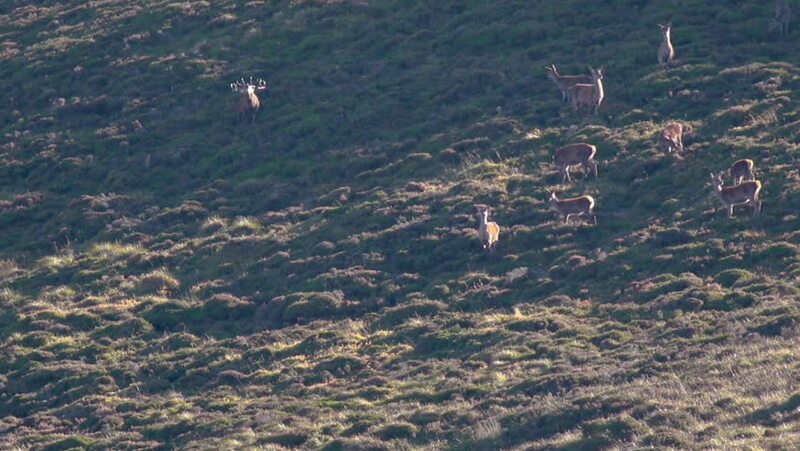 red deer stag and harem, hinds, cervus elaphus, on a slope within the cairngorms NP during rutting season. 4k00:45Sundogs in Norwegian the Arctic Circle above snow covered cabins aerial shot in 4k. hd00:37Aerial view of the sun setting behind the mountains. In the valley, nature is a small agricultural town.